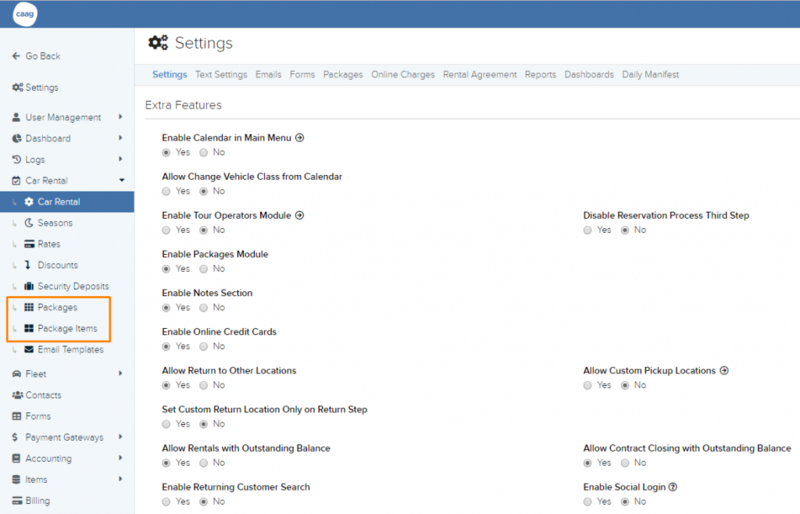 This article is a step by step breakdown on how to set up the packages module. This is useful for the cases where you would like to allow your customers to rent other packages with certain items in addition to renting your vehicles. Next, select “Yes” under “Enable Packages Module” as shown in the picture below highlighted in orange. 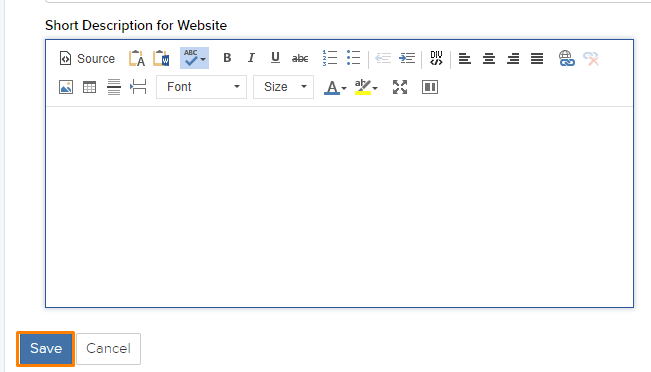 Thirdly, click on the blue “Save” button located at the bottom of the page as shown in the picture below. 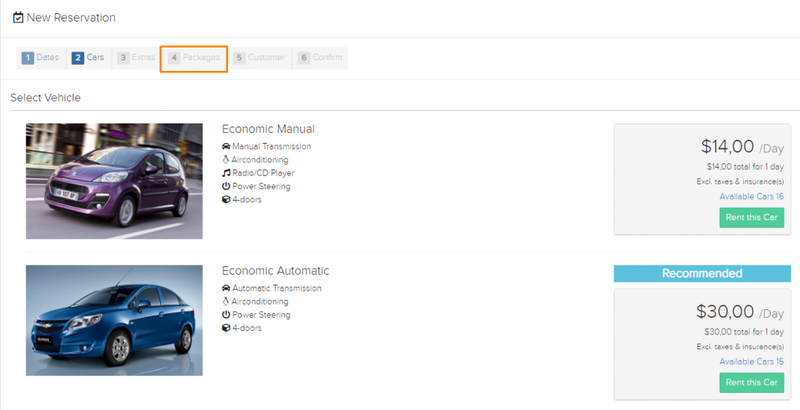 You will now notice that two more items have appeared on the menu on the left side of the page as shown in the picture below highlighted in orange. These are Packages and Package Items. This is where you create the name of the overall package to differentiate the different packages that you have. Firstly, click on the blue “Add Package” button on the top right of the page highlighted in orange in the picture below. Fill in all the necessary details of the package name you are creating. These include “Package Name” and “Allowed Brands”. If “Allowed Brands” is left blank, all the company brands that you have in the system will be included. To learn more about company brands, click here. Lastly, click on the blue “Save” button as highlighted in the picture below. This is where you create the items in the packages that you have created so that your customer can select what they would like in the package. Firstly, click on the blue “Add Package Item” located on the top right of the page highlighted in orange in the picture below. Fill in all the details of the item that you are including into the package. 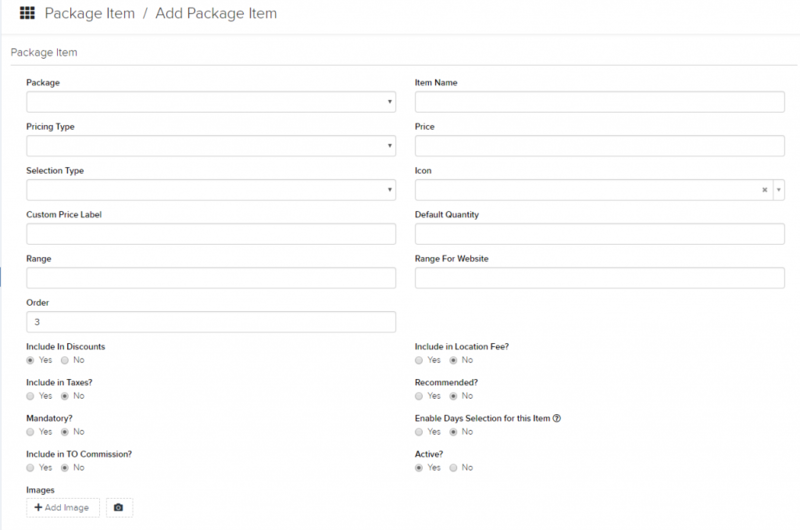 The mandatory items include “Package”, “Item name”, “Pricing Type”, “Price”, “Selection type”, and “Icon”. When you are done, click on the blue “Save” button located at the bottom of the page highlighted in orange in the picture below. 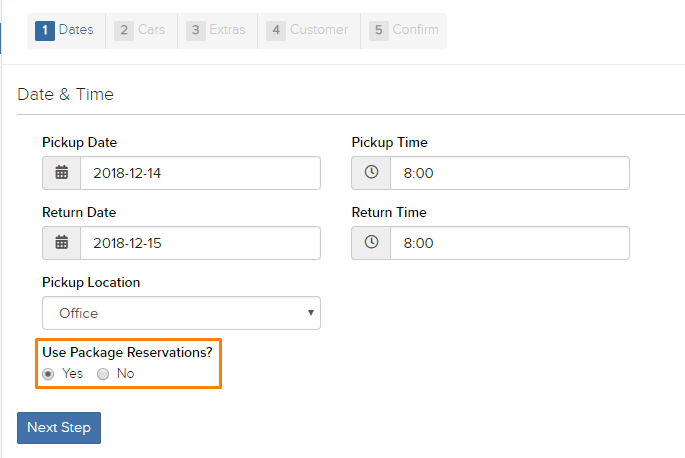 Now, when you create a new reservation on Step 1, there will be an option so you can choose if you would like to be able to use Packages Reservations as shown in the picture below and highlighted in orange. You will notice that the number of steps for the reservation has increased by one. This is because the package step is added as shown in the picture below and highlighted in orange. 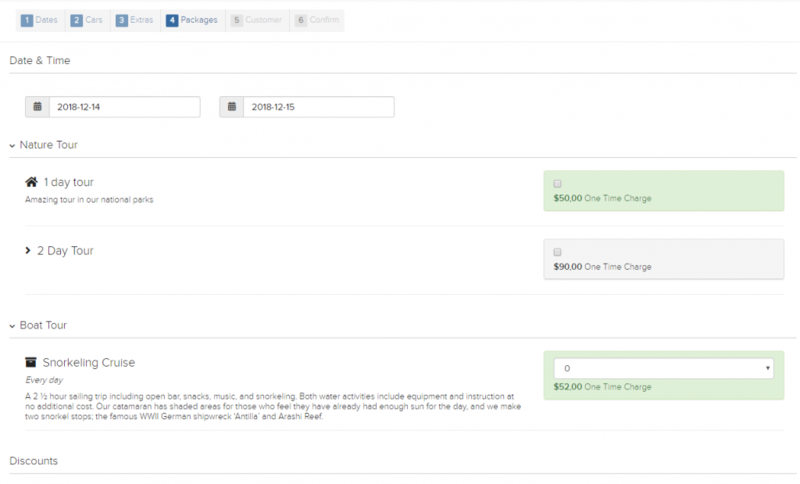 Once Packages are completely set up, the Packages step in the booking process will look as shown in the picture below.